I plan to devour dainty portions of pumpkin pie, pumpkin roll AND pumpkin liqueur pudding on Thanksgiving ... how about you? Kathy of Bay Moon Design politely whipped together a delicious dessert for the eyes. Handmade ingredients include pumpkin pie soap, pumpkin spice silk ribbons and my tiny fairy with a sweet tooth. Tis the Season for Red , Green, Friends and Furkids! What college colors are purple and gold? 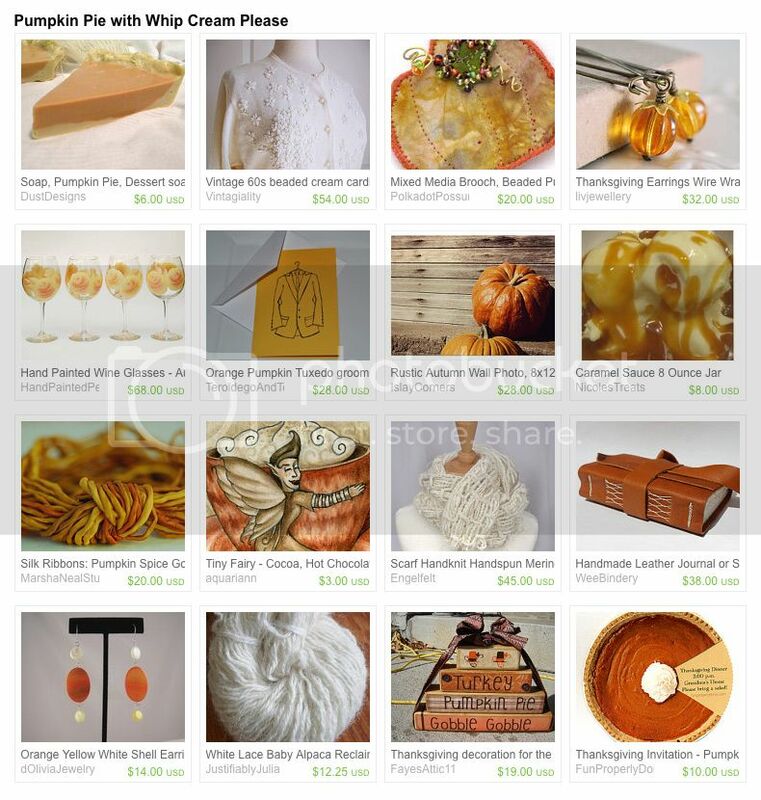 The pumpkin pie treasury is yummy! I posted 3 treasuries containing my Artsy Clay pieces. Happy holidays to all! Lovely treasury! Love that handspun, handknit merino scarf! Pumpkin recipes are one of my favorite parts of Thanksgiving! Thanks for a great link up as always. I have holiday beverages on the brain, and creating treasuries for them has much less calories than indulging in these yummy drinks! Delete #12 dupe for me, Kristin; I goofed!